Indulge in the irresistible taste of HÄAGEN-DAZS® Vanilla Ice Cream. Since 1960, our passion has taken us on a journey to transform only the finest ingredients into a simply extraordinary ice cream experience. 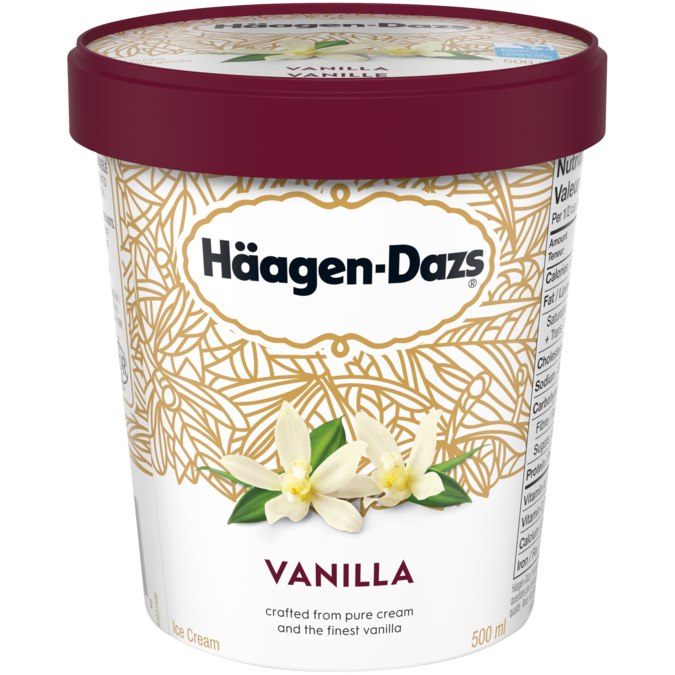 This best-selling flavour is the essence of elegance and sophistication, blending Madagascar vanilla with pure, sweet cream. Made with 100% Canadian dairy, this beloved flavour is a delicious indulgence. A sophisticated blend of vanilla and pure, sweet cream. Our ice cream is made with 100% Canadian dairy. Crafted with vanilla sourced exclusively from Madagascar. HÄAGEN-DAZS® has been perfecting premium ice cream since 1960. Elevate your dessert by pairing it with HÄAGEN-DAZS® Vanilla ice cream.